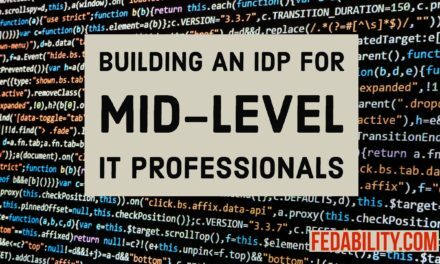 One of the cool parts of the role I play in agencies is helping employees put together their individual development plan (IDP). 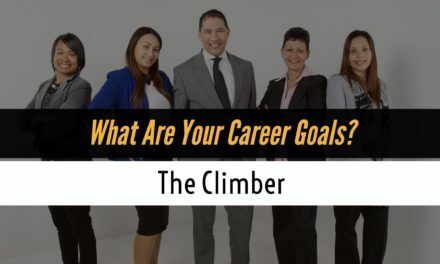 In almost all cases, my first question is “What do you aspire to in the future?” Or, “What are your career goals?” Over the years, I’ve found that there are four types of employees when it comes to career goals and aspirations. Whether you’ve come to this page as an employee wondering how to develop yourself or as a supervisor unsure how to develop your employees, we offer some answers over a series of posts. The most frequently cited aspiration is to become a member of the Senior Executive Service (SES). An SES is a federal executive or government executive. While I don’t have any hard data on this, I believe those seeking help from me are focused in their long-term career. For this reason, we will focus first on the SES-Hopeful. In future posts you can also read about The Drifter, The Satisfied, and The Climber. As I said, most people who darken my door fall into this category. Within this category, I see two sub-types. There are those who genuinely want to move into a position to influence the policies and overall functioning of the government. Then, there are those who are at the high end of the GS scale and SES is the natural progression. Depending on which type you fall into, I offer different kinds of advice to meet your career goals. For those in the first sub-type, I recommend you read as much as you can to learn about the SES. I recommend you look at the Executive Core Qualifications (ECQs). The ECQs are the skills you will need to demonstrate when applying to a federal executive position. Then, I recommend taking classes in various topic areas within the ECQs to strengthen those competencies. To start your development, I recommend focusing first on where you have less experience or are weak spots. After you settle on a plan for classes or formal training, I recommend that you look for stretch projects. These stretch projects should offer you some of the experiences sought for an SES. Let’s say you aren’t familiar with succession planning – a skill under the Business Acumen ECQ. 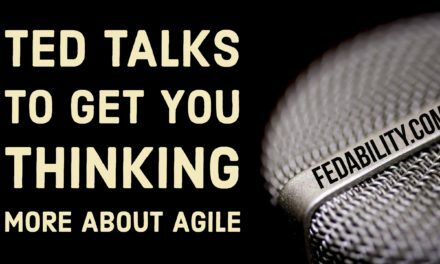 Why not detail to a position that will build that skill? Or, perhaps offer to put together a succession plan for your own area. My final, most important (and potential controversial) recommendations is not to stay in a single agency for your entire career. I make this final recommendation because the SES was initially designed to have a broad government perspective. It is designed to have a cadre of people with generalizable management skills who could serve in any agency. For this reason, if you are an SES-Hopeful seek out opportunities in different agencies as you proceed through your career. The second sub-type of SES-hopefuls are those interested in moving up the career ladder. At least on the surface, these employees are less interested in why the position exists. These hopefuls are just as driven as the Type 1 hopefuls, their motivation is just different. The may also be less willing to follow the recommendations as it will take too long. If you are more like this SES-Hopeful type I offer different career advice. 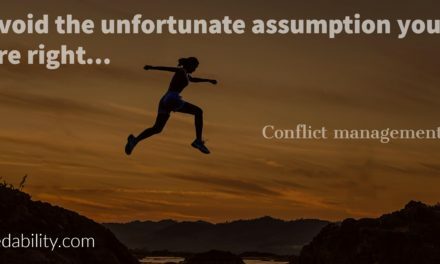 While I find the advice rather simple, it is often very unsatisfying. The simple answer to quickly move into an SES position is to get into a Candidate Development Program (CDP). Alternatively, you can participate in one of the SES programs that meet the education requirements run by OPM or other private companies. These programs are highly competitive and require a significant time commitment. I have personally participated in one of the privately run SES programs. I’ve also developed and implemented a leadership program similar to a CDP. So, I know what people are facing when they go this route. I also see the value of having a cohesive program structure for developing the skills associated with the ECQs. The reason I find the answer unsatisfying (as do the employees) is that the programs are typically very expensive. As a result, most agencies cannot and will not fund an individual to attend one of these programs. And, when the agency does support employees participating in an SES development program it is available only to a very select few. 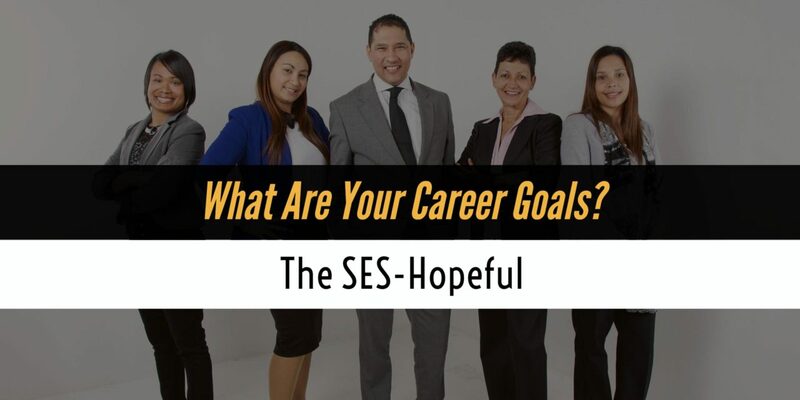 Regardless of which type of SES-Hopeful you are, I hope you have some new ideas on how to achieve your career goals as a government executive. Not a SES-Hopeful? Come back for future posts about the three other types of employees I see in the Federal Government. These are The Drifter, The Satisfied, and The Climber.